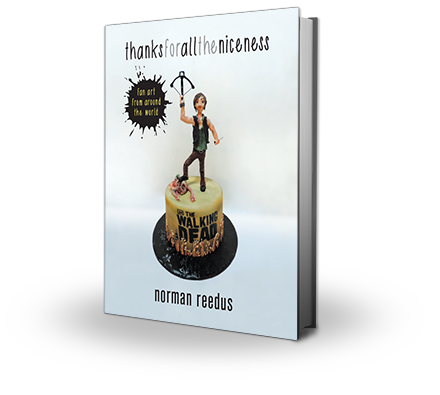 Thanks For All The Niceness is Norman’s way to show his gratitude in a compilation of artwork made by his fans. The Norman/Daryl archetype is created in tattoo designs, cakes, pencil sketches, mosaics and more. Norman selected over 100 fascinating pieces that appear in this beautifully designed book. It’s real art made by real people for real people. A significant portion of the proceeds from this book is being donated to The Bachmann Strauss Dystonia and Parkinson Foundation. 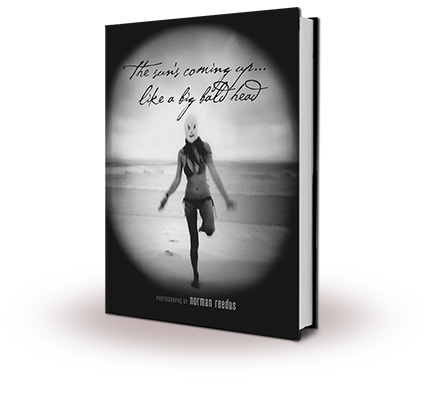 The Sun’s Coming Up… Like A Big Bald Head: Photographs by Norman Reedus, is a limited-edition collector’s volume. Through his penetrating imagery, Reedus takes us on what proves to be a hauntingly intimate journey through the dark and sublime.